With a solid foundation in land economics, real estate appraisal, urban planning and finance, Urban Land Economics Group bases its real estate analysis services upon a multidisciplinary approach. Our team of expert appraisers, analysts and urban planners have years of experience in evaluating and analyzing commercial, industrial, and residential real estate. What this means for our clients is that we are capable of serving you in ways that exceed your expectations. As independent appraisers who know what to look for, we add value to any project you pursue. We are familiar with the entire range of evaluation issues in the southern California market, including environmental concerns and other matters that may affect a property's value. We use information about comparable properties in a very thorough manner to make certain your property is valued appropriately. Unlike other appraisers who may be new to the business, we do more than merely push paper. We become not only a trusted source for accurate and unbiased information, but valued advisors. We verify the descriptions of real estate that exist in public records, and we also inspect properties thoroughly, not in a cursory way, and note any potential problems. This protects your rights and limits your financial exposure. Exercise the ability and strength to successfully defend their opinions in political, legal, and other forums. We specialize in expert real estate appraisal and consulting services for estate administration, tax issues, and litigation purposes. Before you pull out the Yellow Pages or search online for the usual suspects, call us at 661.949.3133 for additional information and a quote. We’re ready to provide you with more than only the standard services usually offered in real estate appraisal. Why not call or contact us today? ULEG provides major loan consulting services to investors, real estate developers, and the economic development community. We serve a discriminating clientele interested in establishing a long-term relationship based upon service, communication, and ethics. We have placed over $50,000,000 in institutional financing. 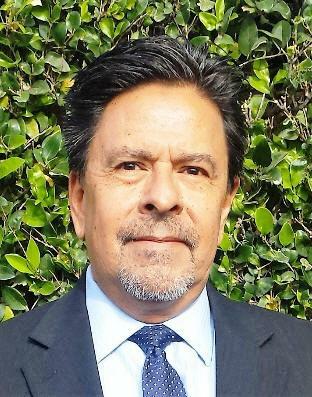 Ruben Gutierrez is a real estate appraiser and consultant with over 35 years of experience in the valuation and analysis of commercial, industrial, and residential real property. Mr. Gutierrez specializes in the appraisal of all types of real estate for purposes of estate administration, taxation, and litigation. He received a Master's Degree in Architecture and Urban Planning from UCLA in 1984, is a California State Certified General Real Estate Appraiser, and a licensed California Real Estate Broker. As a California Probate Referee, he serves as a statutory officer and valuation expert for the California Superior Court. He has an extensive background in the fields of real estate valuation, real estate finance, economic development and redevelopment. Mr. Gutierrez is a qualified expert witness on real estate matters in the Los Angeles County and Ventura County Superior Courts. Let us know if you have any questions or if you think we may be a good fit for one of your projects.